What does taking part or participation in research mean? Participation in research is where someone takes part in a research study, for example, being asked questions about their health condition or testing a new treatment in a clinical trial. People may be asked to consider joining a study by their GP or come across an advertisement to join a trial on a noticeboard or in a newspaper. 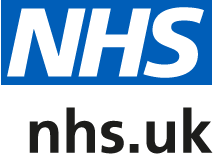 The NHS has written some very clear information about taking part in clinical trials and issues to consider before taking part in health research you can review this information at NHS Choices. Who is your Research Team at Ashfields Primary Care Centre? Dr. Neil Paul leads the research activities; supported by Dr. Simon Gowda who act as Sub Investigators. Research Nurse Janet Rhodes and Tracey Waller work alongside the doctors to deliver the research projects.Research Administrative Support – Jean Pointon. Ashfields Primary Care Centre work very closely with Kiltearn Medical Centre in Nantwich and many other local GP Surgeries in the Region to support them to be part of the research network schemes. What should I do if I am interested in a study at Ashfields Primary Care Centre? Anyone interested in participating in a clinical study should know as much as possible about the study and feel comfortable asking the research team questions about the study, the related procedures, and any expenses. Don’t forget if you consider joining a Research Trial you may withdraw from a study at any time, even if the study is not over. The Research Team are always happy to chat to anyone who would like to know more about the Research Studies and activities at Ashfields Primary Care Centre or if they wish to be considered for any of our recruiting studies. A full copy of the clinicaltrials.gov information is available on the Research Team notice board in our main reception.